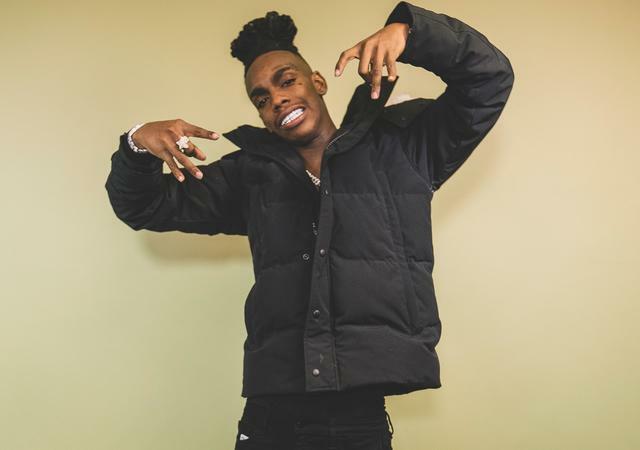 YNW Melly was arrested just over a month ago and charged with two counts of first-degree murder for his alleged involvement in the deaths of collaborators and friends YNW Sakchaser and YNW Juvy. Nonetheless, public interest in the controversial rapper has yet to wane and that much is displayed in the numbers that his music continues to put up, especially his "Murder On My Mind" track. After rising along the Billboard Hot 100 songs charts, the track is now No. 1 on the Billboard On-Demand streaming Songs chart and has moved from No. 4 to No. 3 on the overall Streaming Songs chart. According to Nielsen, Melly accomplished the latter with 35.8 million total streams in the week ending March 14th, a 5 percent dip from the previous week. It earns its top slot on the On-Demand chart, however, after earning the week's largest figure with 20.7 million on-demand audio streams, bumping the Jonas Brothers' "Sucker," which held the honor last week. "Murder On My Mind" has essentially laid the eerie foundation for crippling memes on the Internet surrounding Melly's incarceration despite having been recorded years before the murders were committed. Melly has since pleaded not guilty to both counts. In addition, the rapper's Kanye West collaboration "Mixed Personalities" also inches up from No. 31 to No. 23 on the overal Streaming Songs chart with 17 million total streams. Dr. Dre Celebrates Daughter's Legit Acceptance Into USC: "No Jail Time"